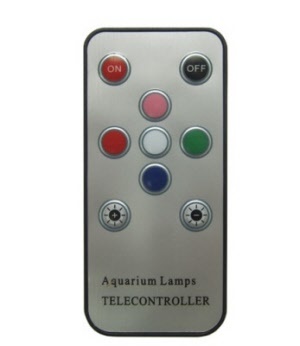 All in one aquarium; high clarity glass; color changing LED; Remote control; three stage filtration system; compact and modern design; available in black or white; Quad level control on each LED color mode. Great for freshwater or saltwater. 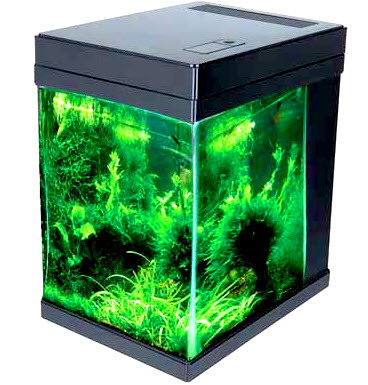 Fish and corals will be happy in this compact desktop biotope. 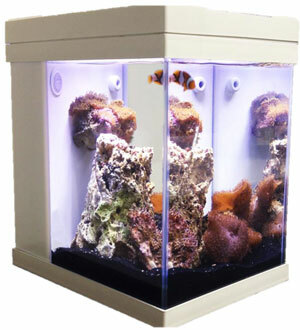 Explore the world of nano aquariums. 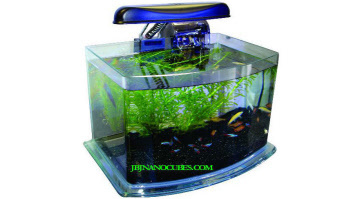 The new JBJ Picotope is a small 3 gallon aquarium that makes a stunning impression.